Modern offices in a range of sizes, with comprehensive conference facilities and free parking. Located just off to the A62 Oldham to Manchester Road, close to junction 22 of the M60, giving easy access to Manchester airport. A large Oldham business centre offering a range of high quality, refurbished office and light industrial units, on flexible terms. The centre features remotely monitored CCTV surveillance. Located close to the A62, just off junction 22 of the M60. Conveniently located for Manchester city centre and airport. The centre is based just outside of Oldham and is housed in a 19th century old textiles mill. Now a first class office space, tenants will enjoy the contrast between the historic building and the contemporary interior. Amenities include 24 hour access, fibre internet, kitchen facilities and breakout space. The centre is also blessed with a great location, just minutes outside of Oldham centre and minutes away from the M60 - giving access to Manchester, Leeds and Liverpool. 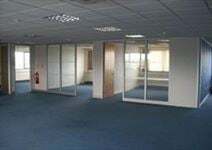 A modern business centre offering furnished or unfurnished offices, and storage spaces. There is round the clock access and on-site parking. A full range of support services is available. Located just off to the A62 Oldham to Manchester Road, close to junction 22 of the M60. A selection of offices of various size is available to let in this impressive building. Available at flexible rental terms, they are offered at a very convenient all-inclusive price. The offices are provided with telephone systems and high-speed internet connection, parking facilities and a wide range of other services. 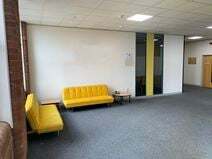 The building is located just off Oldham town centre and is close to the motorway junction and well connected to Manchester and the surrounding areas. This space is available on flexible terms and offers 24-hour access, as well as break-out space, a board room, internet and IT support, an on-site management team and free car parking. just five minutes from the nearest bus top, major road links are also easily accessible meaning that Oldham and Manchester are within easy reach. There are hotels, restaurants and cafes, as well as pharmacies all within walking distance of this location. Adopting a price match policy to ensure competitive pricing this bespoke office provider is located just outside of the centre of Oldham and provides serviced office space along with two rooms suitable for meetings, conferences or training.